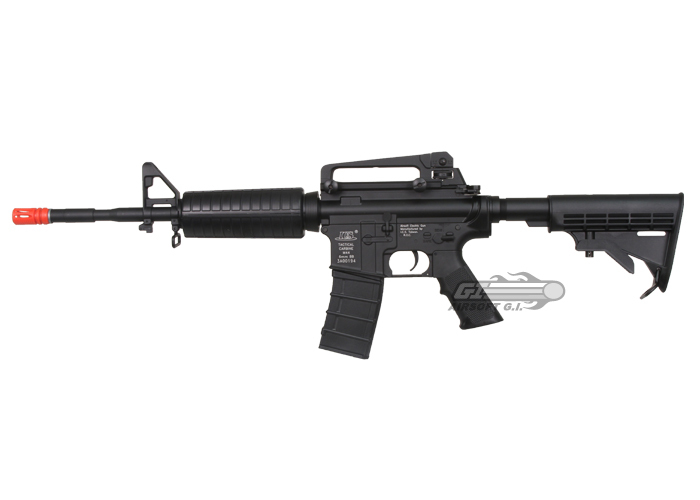 Since ICS founder and CEO Mr. Chu entered the airsoft replica market in 1995, ICS was the first AEG company specialized in designing and manufacturing in Taiwan and was the 3rd of its kind worldwide. As a professional AEG brand, "High innovation, High efficiency, and High quality" is the principle of their enterprise, and ICS insists in accepting no defective part from the factories, making no mistake on the production line, and releasing no defective product to the market. 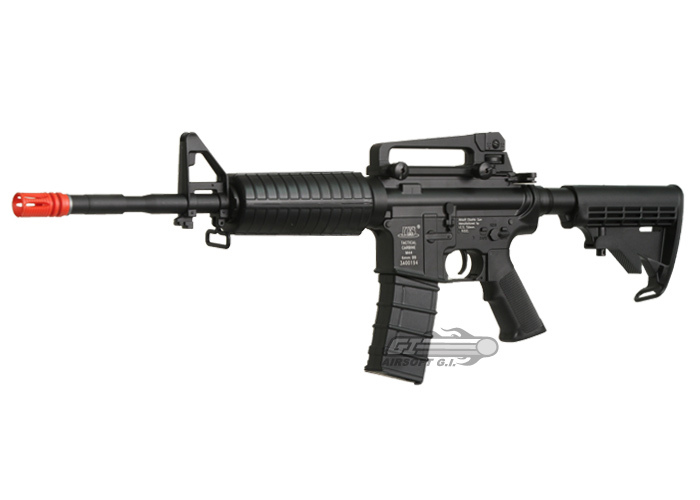 The ICS Full Metal M4A1 Airsoft Gun is a benchmark in the Airsoft Industry. 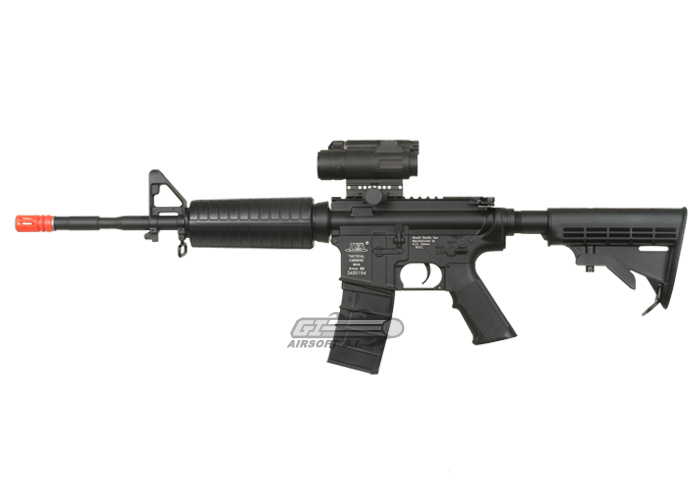 As airsoft was developing momentum and becoming more popular ICS was one of the first companies to provide an affordable full metal built gun right out of the box, and it came in the form of this M4. 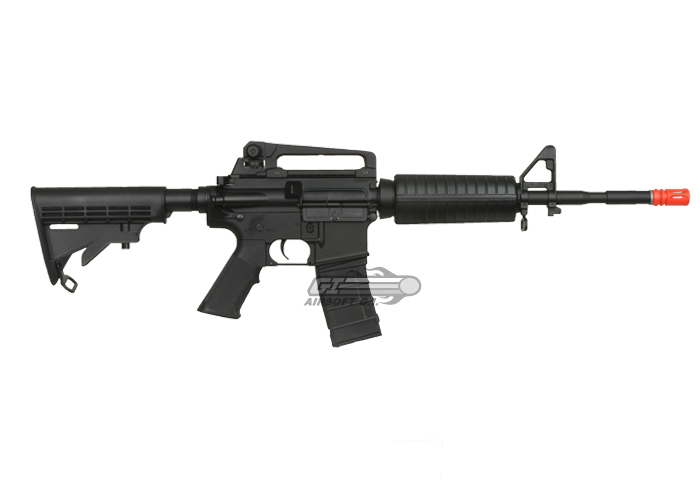 This gun is very carefully modeled after it's real counterpart with metal upper and lower receivers. 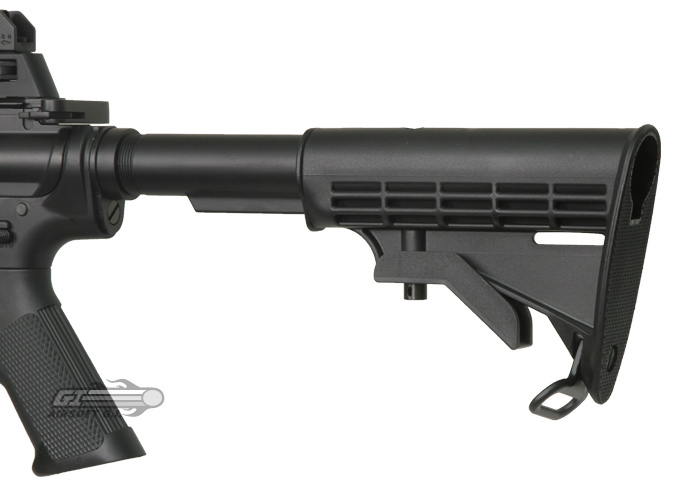 The stock is made of polymer, like the real thing, and can be adjusted to the shooter's comfort. The fire selector is crisp and decisive. The hop up is easy to access, by pulling the charging handle the dust cover opens exposing the hop up. 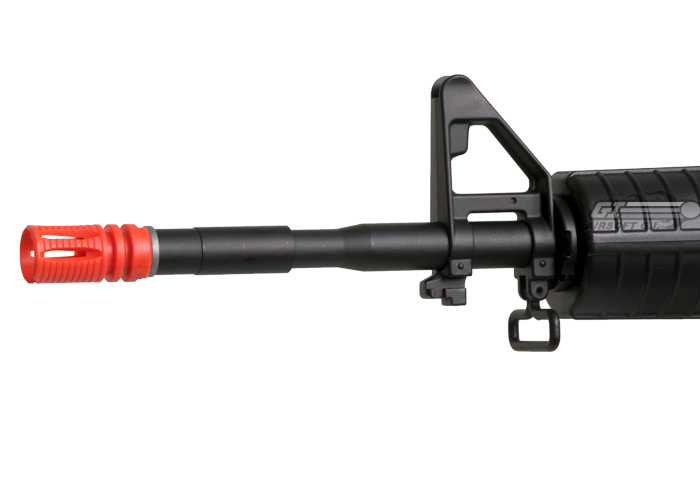 The forward assist functions to release gearbox tension by pushing down the anti-reversal latch, a feature not commonly found on most airsoft guns. The rear sight can be adjusted for different lighting apertures, and the carry handle can be removed in case you want to use optics. 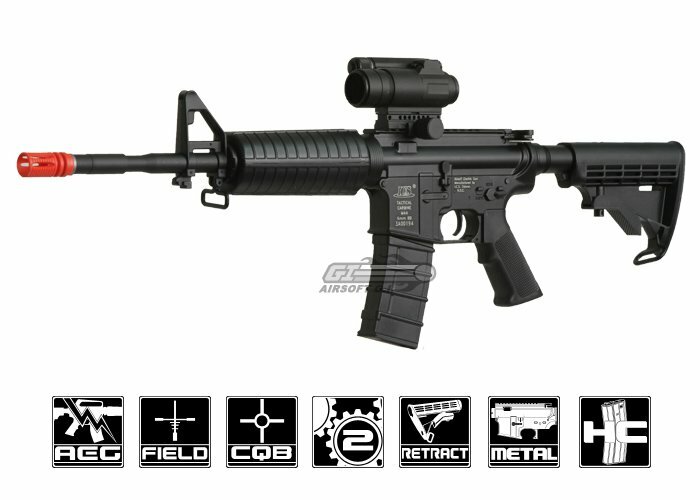 Internally the ICS M4 features a full metal gearbox and ICS' famous Turbo3000 motor. This AEG set a president for other companies to follow years ago and is still ranked up with the best of them. Ok, i got the rifle a few weeks ago, and to be honest, there were a few things about it that i did not like. However, we will get to that later. 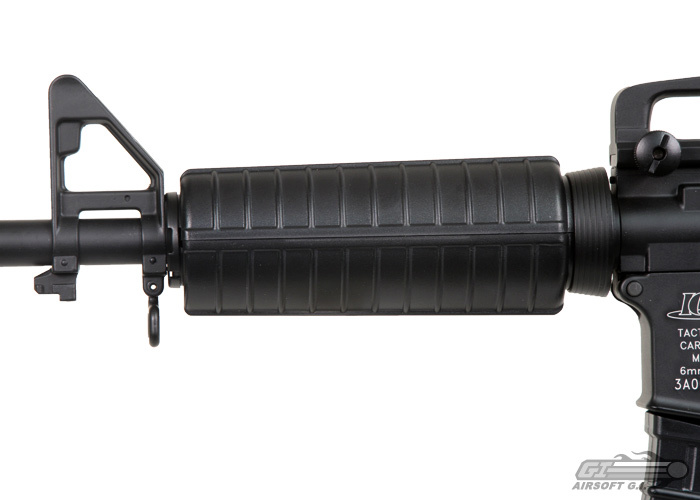 For starters, the exterior of the gun is great, an excellent matte finish. The only thing disappointing is the cheap plastic used for the foregrips. Internally, everything is excellent, except for the absolutely awful piston, made from cheap plastic. In fact, it broke after only a week of having this gun. However i have read many reviews on this issue and they all agree that this is the one weak part of the internal ICS gearbox. So throw in a reinforced one, and you should be good to go. It fires at 350 fps, but will take an M120 with all stock parts (save a piston). The barrel is aluminum, so it will be more prone to warping in extreme heat and cold conditions. Use it as long as you can, then get a brass one. The hop-up is ICS exclusive, so don't bother getting a normal one. 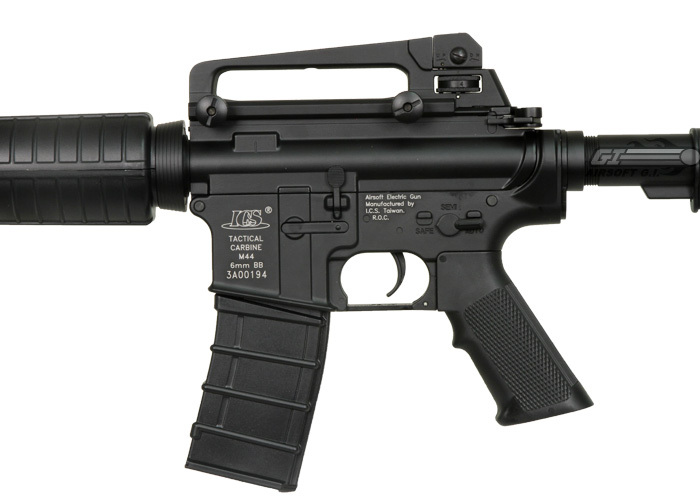 The gun is pretty hefty, feels a little heavier than the KWA M4 A1 in my opinion. ROF is great, but semi-auto on this gun cycles weird, i will have to look into that. It is accurate enough to hit a man sized target at 160 feet with no wind, we tested that first. I love the split gearbox design, and with a couple little tweaks, it will be a top of the line rifle. I will give it four stars because i do have to get a metal flashider and a new piston. 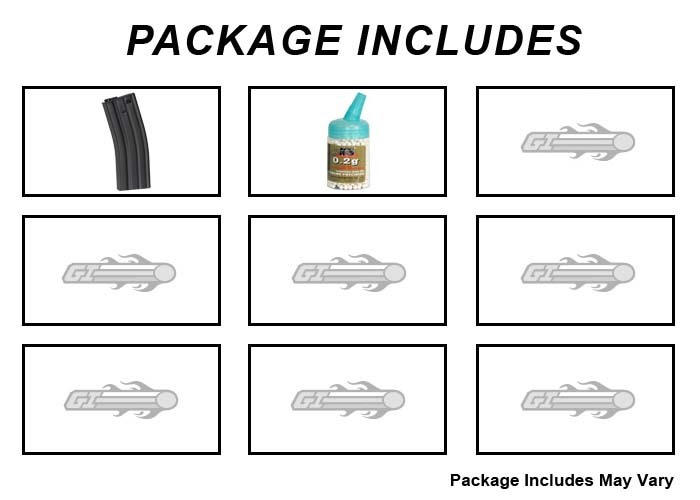 But the rest is great, well worth the 40 bucks less than a KWA.